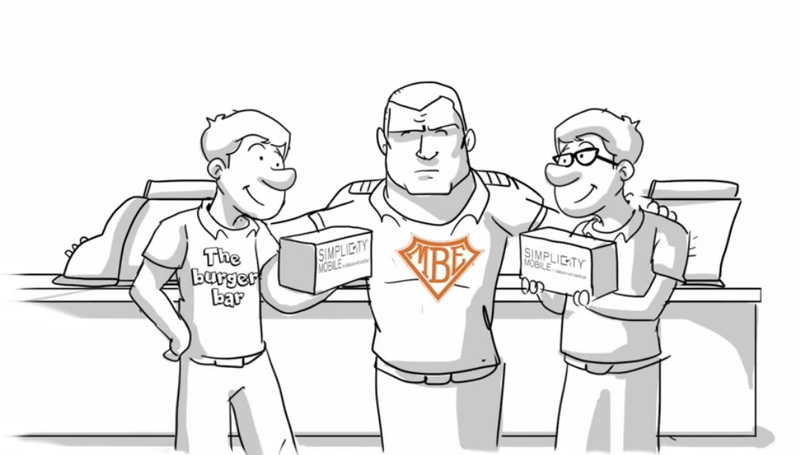 Menuboard Experts - Always ready for deployment! Once we understand our client’s needs, we apply our industry knowledge, manufacturing experience, research and creativity in fabrication to present a roadmap of possible solutions. With a strategy firmly in place, we select the best conceptual approach, the best materials and value-engineer the perfect customized solution for the client. With the utmost quality and attention to detail, our team delivers the final, fabricated hand-crafted solution, unique to our client’s needs. We are VGS. A diverse group of creatives focusing on strategic concepts, signage, branding, and digital design. Our team excels at bringing smart ideas to the table and following through until we deliver the best creative solution. With over 30 years of combined experience, VGS is a single source solution. 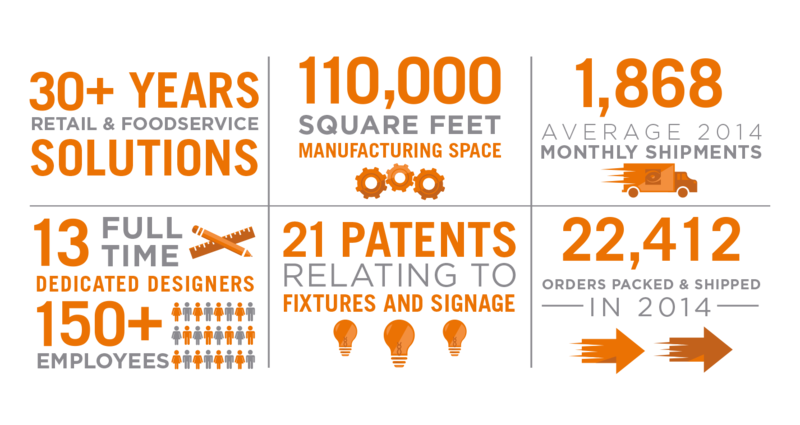 From design to manufacturing, to installation and even maintenance, we have you covered. 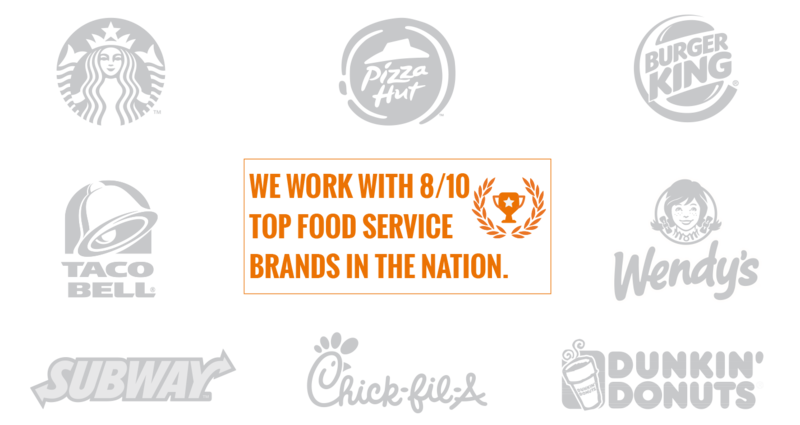 We strive for continual innovation and always look for the best solution to fit your brand. We are VGS- We are the Menu Board Experts. 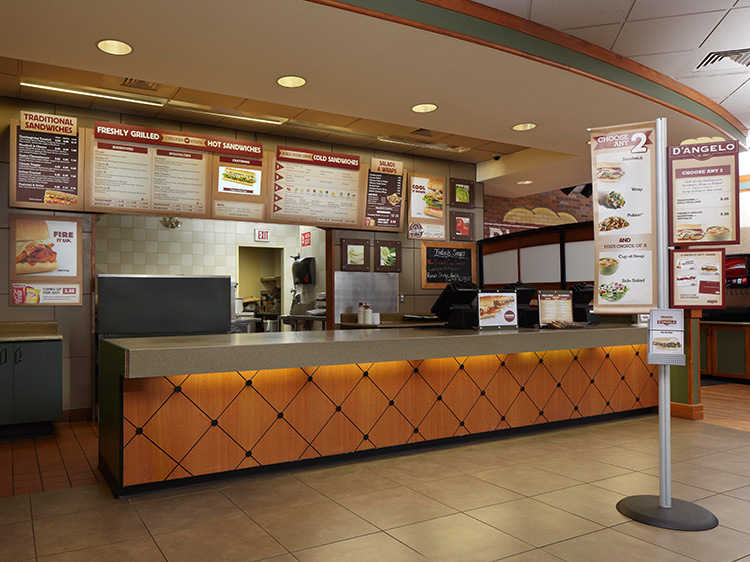 Designed specifically for food service, Simplicity™ Digital Menu Boards are an easy, cost-effective solution to easily keep your menu boards up-to-date. Simplicity™ is also available as a mobile app. Our Magillum® LED Flat Panel Menu Board combines the sophistication of ultra-slim Flat Panel technology with brand customization and easy changeability. Combine these panels with digital screens to create a seamless all-digital look. A cost-effective combination of LED flat panels and digital menu board screens, our Hybrid Menu Board Systems provide a seamless all-digital look without the hassle. For more information contact sales@vgs-inc.com. 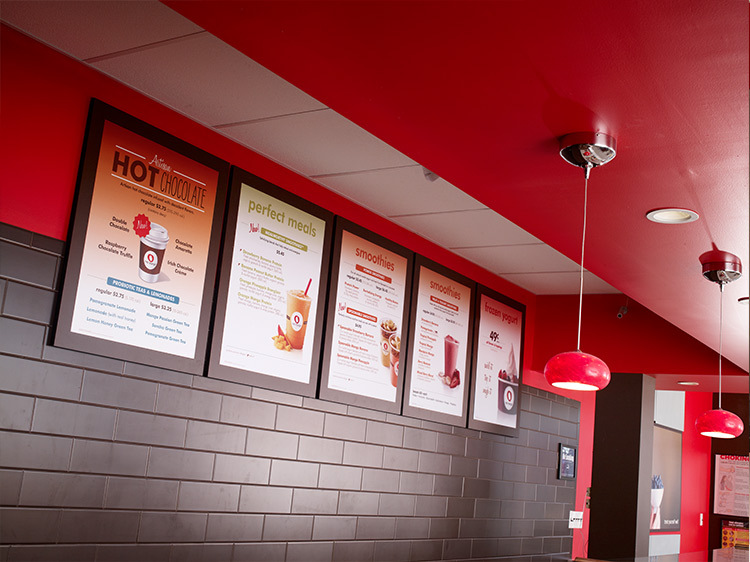 These menu panels provide extreme flexibility, along with added menu board real estate. Perfect for day-parting, these panels flip to reveal additional content on the reverse side. Contact sales@vgs-inc.com. From magnetic lift-up lenses, to strips and dimensional forms, magnetic elements help you produce truly unique menuboards. Easily change out graphics with our MagAlign® solution. Contact sales@vgs-inc.com. With over 90 years of experience, we can create custom menu board systems, inserts and surrounds that are both unique and reflective of your brand, We are truly the menu board experts. Click here for more information. 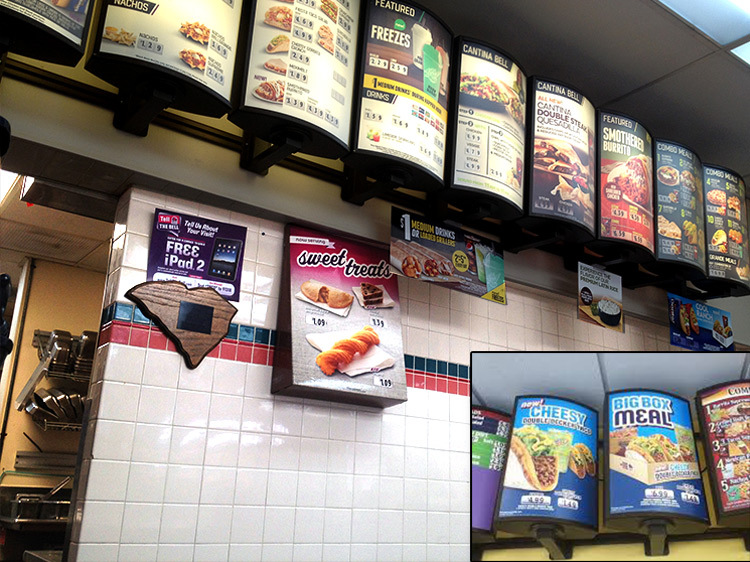 Need new menu boards but don’t have a lot of time? 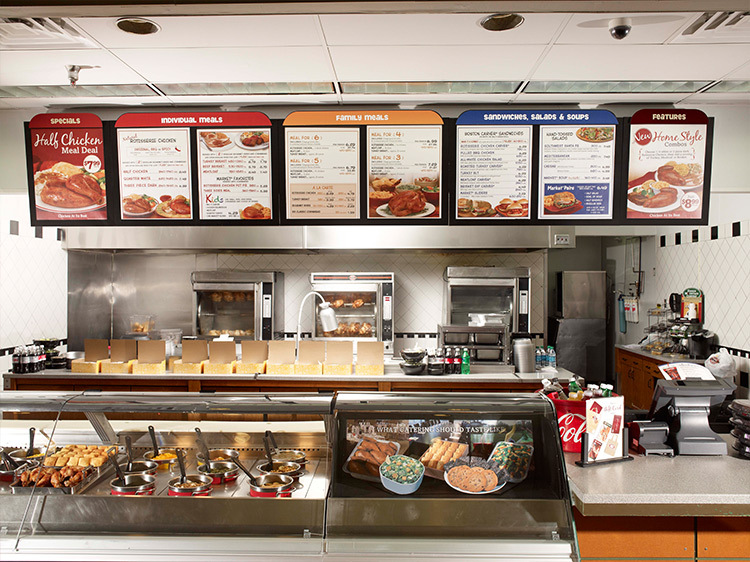 Magnetic strips and insert systems, angled, flat panel, illuminated or non-illuminated, we carry stock menu board panels that look custom, but at a stock price. Shop our selection of stock menu boards. Your drive-thru has become just as important as your inside dining room. From full drive-thru systems, to panel inserts and retrofitting capabilities, create an engaging drive-thru experience for your customers – and a profitable one for you. See how Simplicity Mobile works. Once you try it out, you’ll never go back! VGS is more than a sign company. We are a forward-thinking, reliable marketing partner for your business – designing, fabricating and installing your visual communications systems. Please take a look at a small portion our work and we hope you enjoy! This paper features statistics/data from our recent online survey, as well as information on how to reconnect with customers, and sell more food, by focusing on the four pillars of foodservice: food, environment, culture and convenience. This paper features an easy-to-understand outline of the (much-anticipated) new FDA labeling requirements, as well as an action plan to get customers started with compliance (before the Federal Deadline of December 2015) quickly and easily. Want to find out about implementing zone strategy for your business?